We all have our own share of health troubles. Some people battle terminal illnesses, others take maintenance medications to treat lifelong ailments. The medications we take are essential for us to be able to carry out daily schedule effectively. Some people take more than others, while others take them longer than most. Despite the circumstances, it’s important to take note template of what we need, how much of it is needed, and how much must be taken at a time. For this reason, medication sheets come in handy. 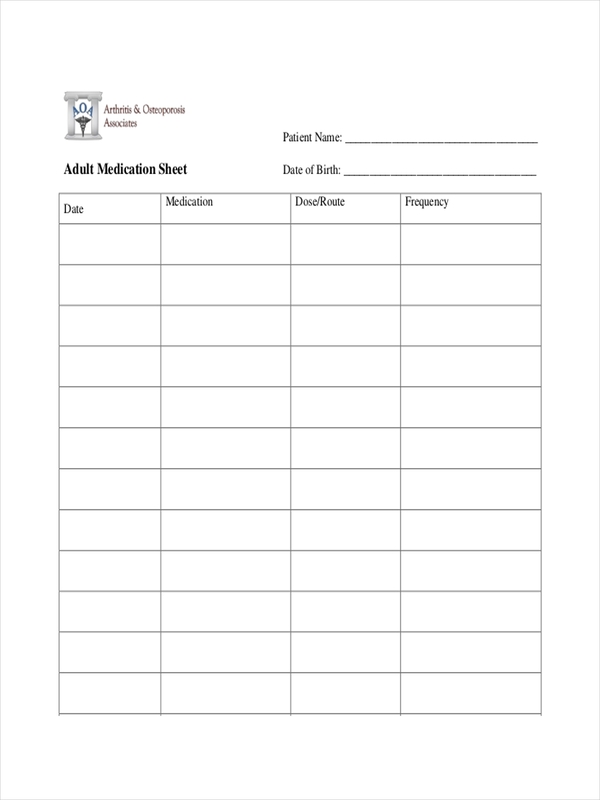 What Is a Medication Sheet? 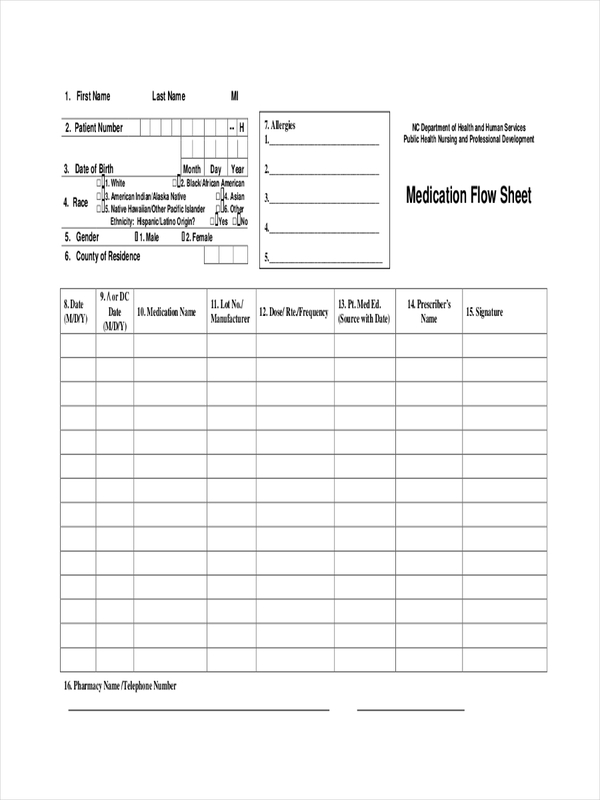 A medication sheet presents significant information on the intended use of medicines that an individual must know of. 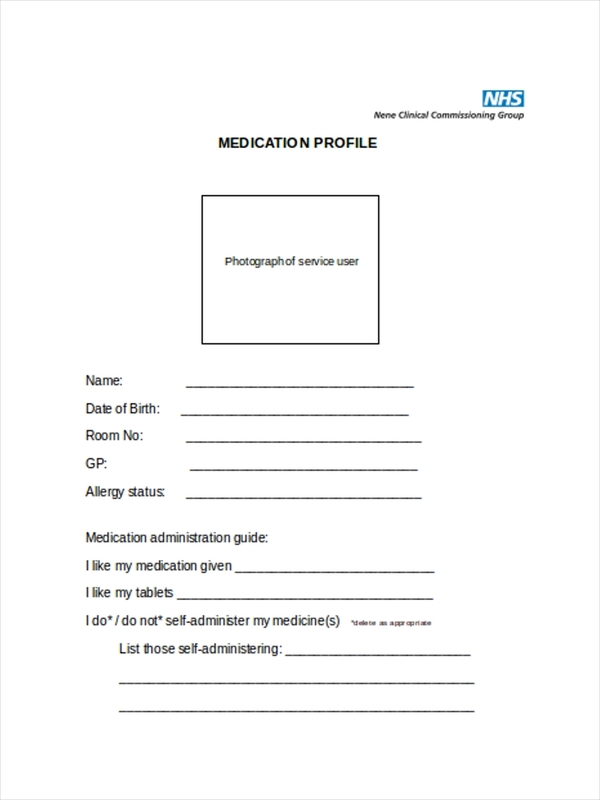 This may be used to track a patient’s daily medication as a medication profile, or even to administer a patient’s medical intake. The content of this sheet may be similar to an instruction sheet or a reference sheet. 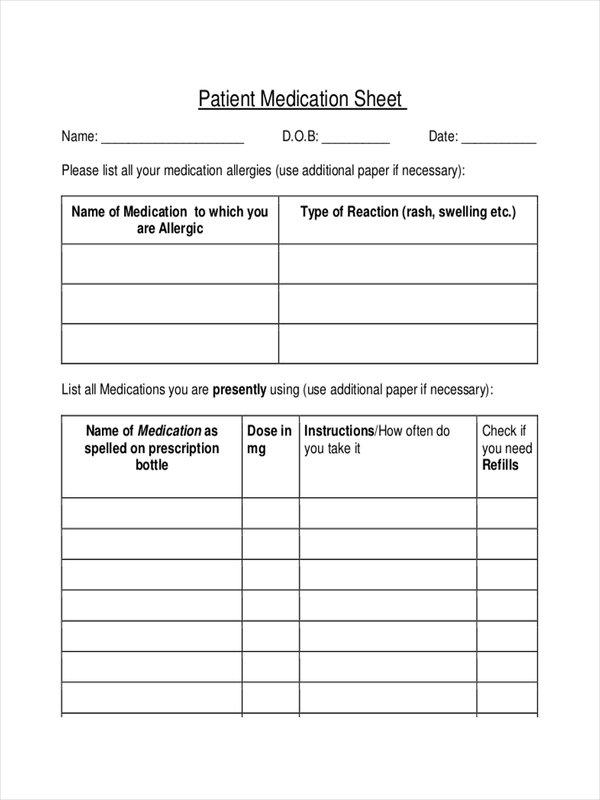 When creating a medication sheet, make sure that you’re fully aware of what the activity sheet will be used for. 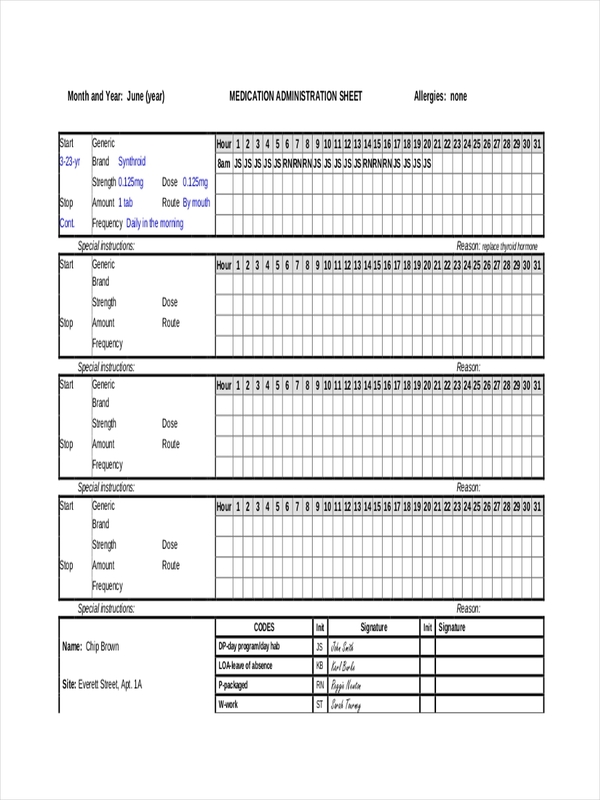 For instance, a daily medication tracking sheet ideally presents data in a tabular form. 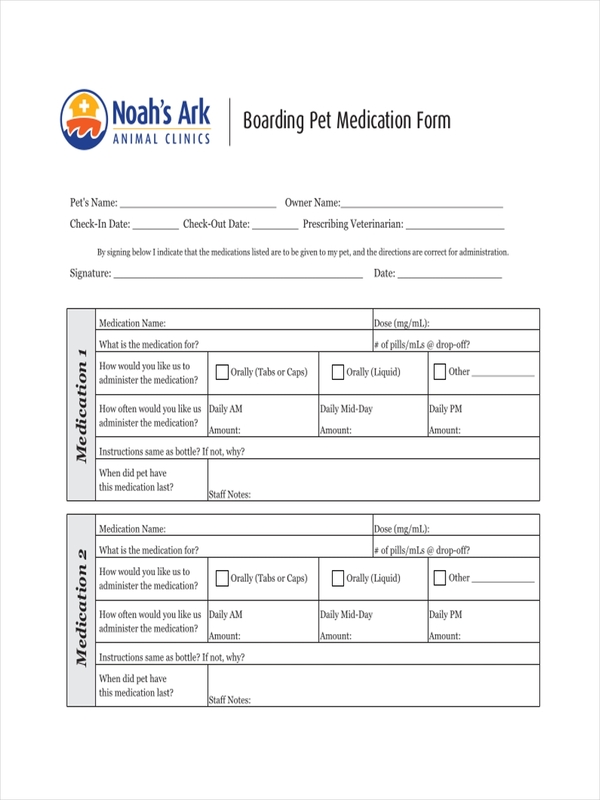 The date and time, dosage, and frequency of such medication will be noted down on the sheet. 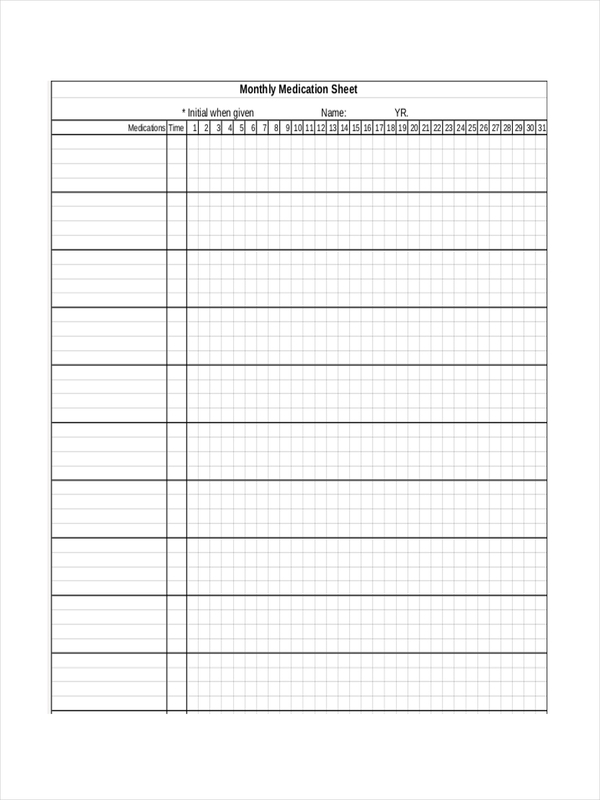 Naturally, your task sheet should be designed according to how it will be utilized. It’s best to keep your sheet as organized as possible by sectioning each data into its corresponding category. Providing the necessary instructions and guidelines in the sheet will also be helpful for the user. Additionally, only include the necessary information to your sheet. It should serve a purpose and function for that statement of purpose only. Healthcare professionals are responsible for taking care of our health, mainly because we don’t know much about the human body than they do. They prescribe us with medications to treat certain diseases and ailments, and we’re required to follow them accordingly. 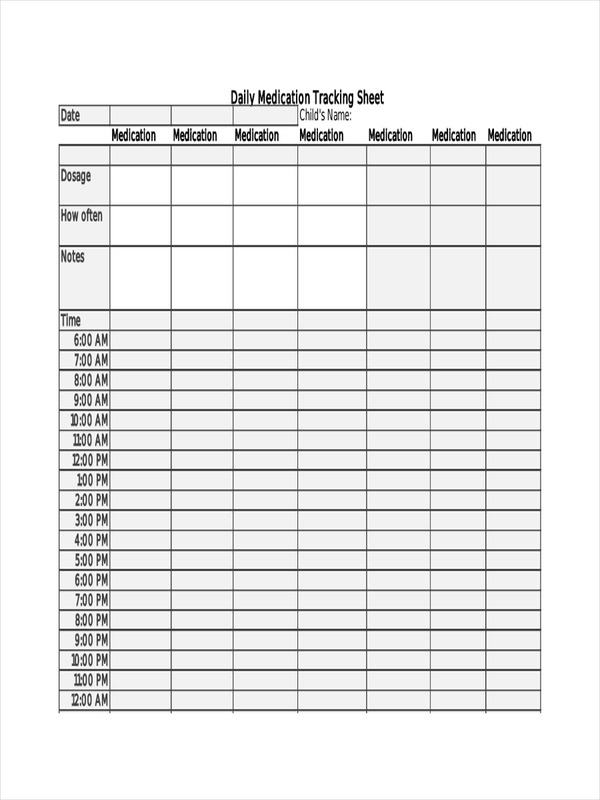 Healthcare professionals use medication sheets in order to monitor our medical intake and its corresponding reaction to our bodies. This will help them evaluate our progress and the effectiveness of such medications to our health. Provide the patient’s name. Think of it this way, if the sheet gets misplaced in a hospital setting, the nurses might find it difficult to identify whom the sheet belongs to. Giving the medications to the wrong patient will surely cause negative side effects. Indicate its purpose. 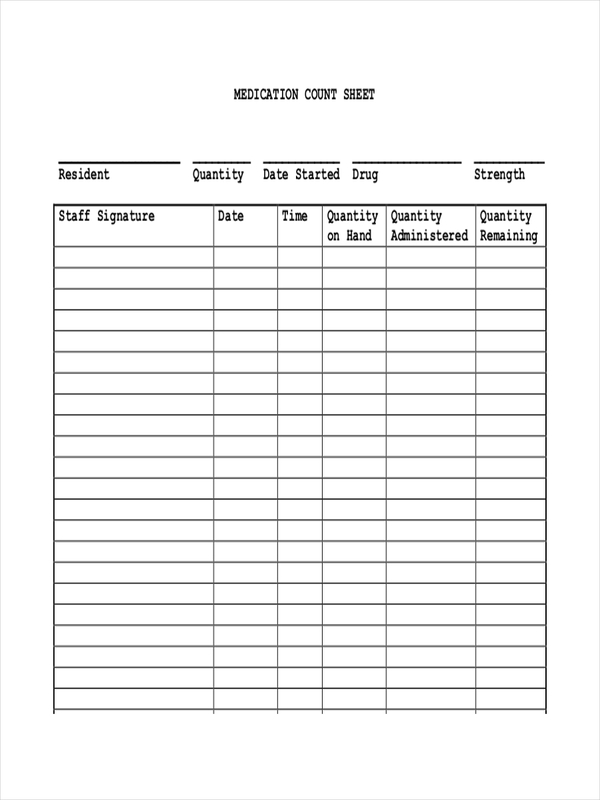 This may come in a form of a detailed instruction or through the sheet’s title. This is so a reader may know the significance of such sheets in word. Keep it neat. Organize your data properly. Messy sheets will only confuse your readers. Provide space for comments and notes. 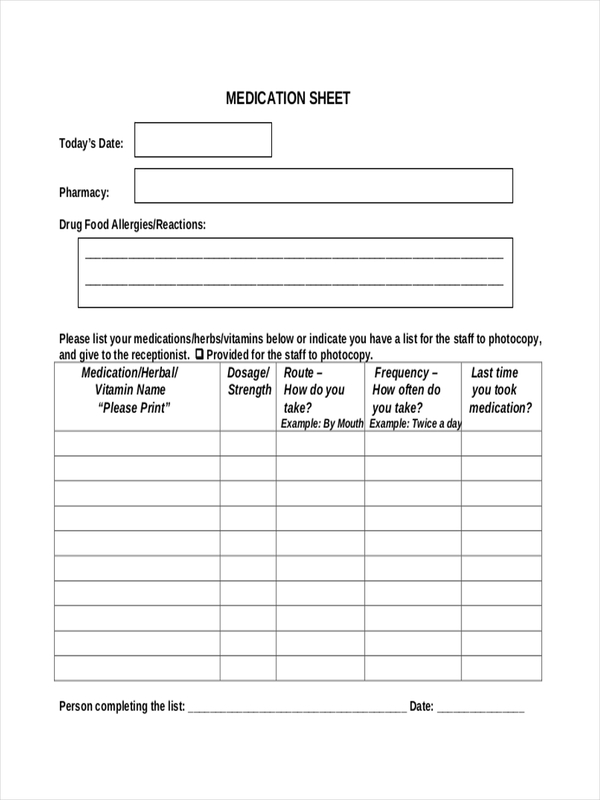 Some medication sheets might require constant written updates for a given item. Leave a considerable amount of space for user input. Make use of tables, checklists, and charts. This would especially apply to sheets in pdf that are used often. This will make it easier to organize items and their corresponding data.